Height & Weight: 5’11”, 175 lbs. Key Stats: In his last full season playing behind Ryan Switzer he had 43 receptions for 597 yards and three touchdowns in 2016. 2017 was cut short in September because of injury. Where He Fits on Bills: He fits in as a pure slot receiver. Who He Pushes Off Bills Roster: The Bills receivers are wide open after Kelvin Benjamin and Zay Jones. Expected to Start Right Away? : The starting receivers are Zay Jones and Kelvin Benjamin. If you consider the third receiver to be a starter then it gets wide open at this point. Andre Holmes, Jeremy Kerley, Ray-Ray McCloud, Brandon Reilly and Rod Streater will all be competing with Proehl for the third receiver. At this point I think it’s an open competition and may the best man win. Bob’s Take: Son of Ricky Proehl the former Rams slot receiver. Ricky worked for Sean Mcdermott in Carolina from 2013-2016. We can only hope that Austin is as good as his father in the slot. 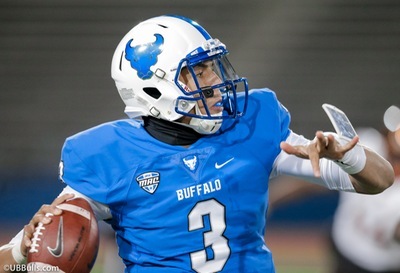 If the apple dropped close to the tree, this one the Bills got a real find in the 7th round. Ricky finished his career with 669 receptions. Proehl wasn’t invited to the combine in Indianapolis. He needed to go to a regional combine in Tampa. He showed nice speed running a 4.4 in the 40. Reports from he regional combine said he wowed all of the scouts with his quickness and precise route running. He showed great hands as well. Proehl missed most of last season with a broken collarbone. 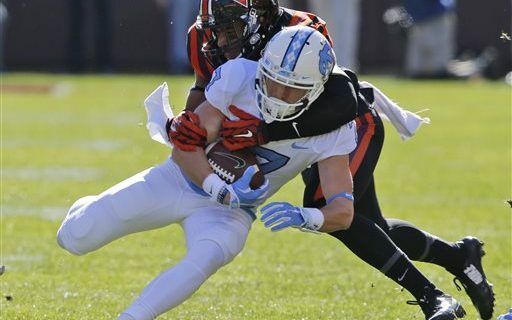 His junior year he was the team’s third leading receiver with Mitch Trubisky at QB. The last time the Bills drafted at 255 they got a player that played for 10 years in the NFL. Will Grant from the Chuck Knox’s teams of the early 80’s was drafted 255 in 1978.